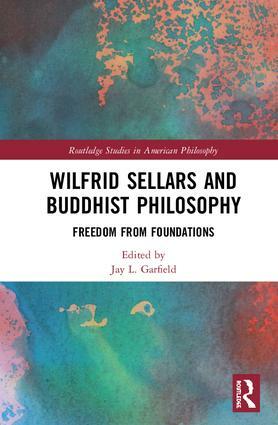 The aim of this book is to address the relevance of Wilfrid Sellars’ philosophy to understanding topics in Buddhist philosophy. While contemporary scholars of Buddhism often take Sellars as a touchstone for philosophical analysis, and while many take Sellars’ corpus as their entrée into current philosophical discourse, fewer contemporary philosophers have crossed the bridge in the other direction, using Sellarsian ideas as a way of entering into Buddhist philosophy. The essays in this volume, written by both philosophers and Buddhist Studies scholars, are divided into two sections organized around two of Sellars’ essays that have been particularly influential in Buddhist Studies: "Philosophy and the Scientific Image of Man" and "Empiricism and the Philosophy of Mind." The chapters in Part I generally address questions concerning the two truths, while those in Part II concern issues in epistemology and philosophy of mind. The volume will be of interest to Sellars scholars, to scholars interested in the contemporary interaction of Buddhist philosophy and Western philosophy and to scholars of Buddhist Studies. Jay L. Garfield is Doris Silbert Professor in the Humanities and Professor of Philosophy, Logic and Buddhist Studies and director of the Buddhist Studies and Logic programs at Smith College. He is also Visiting Professor of Buddhist Philosophy at Harvard Divinity School, Professor of Philosophy at Melbourne University and Adjunct Professor of Philosophy at the Central Institute of Higher Tibetan Studies. His most recent books are The Concealed Influence of Custom: Hume’s Treatise from the Inside Out (2018); The Essential Jewel of Holy Practice (with Emily McRae, 2017); Minds Without Fear: Philosophy in the Indian Renaissance (with Nalini Bhushan, 2017); Engaging Buddhism: Why it Matters to Philosophy (2015); and Dignaga’s Investigation of the Percept: A Philosophical Legacy in India and Tibet (with Duckworth et al., 2015).